Welcome to Too Much - where the women are strong-willed and the men are handsome yet shiftless. Ever since Mary Dell Templeton and her twin sister, Lydia Dale, were children, their Aunt Velvet has warned them away from local boys. But it’s well known that the females in Mary Dell’s family have two traits in common - superior sewing skills and a fatal weakness for men. While Lydia Dale grows up petite and pretty, Mary Dell just keeps growing. Tall, smart, and sassy, she is determined to one day turn her love of sewing into a business. 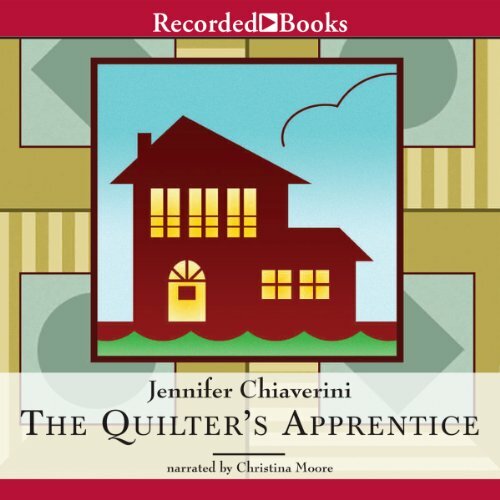 An engaging tale full of warmth and wisdom, The Quilter’s Apprentice is the first novel in best-selling author Jennifer Chiaverini’s Elm Creek Quilts series. Sarah McClure takes a job helping elderly Sylvia Compson prepare her family estate for sale. Sylvia, a master quilter, agrees to share the tricks of the trade with Sarah. As the two women grow close, Sylvia shares her family’s tragic past, compelling Sarah to look at her own life more closely. While I finished the book, the story was slow and only mildly interesting. It was a struggle to finish, but I neither liked nor hated it. The narrator was good, and created a large variety of voices. This book is about a woman that is temporarily employed to clean up a mansion. She begins to learn quilting from the owner, and eventually learns about the owner and her family's past. I liked the realistic quality of the human interactions and conflict. That being said, I found the main character's low self esteem and lack of confidence to be grating, sometimes. She's supposed to be older than I am, but her spineless moments seem better suited to a teenager with little experience in the real world. Also, there were times when a character wouldn't make a logical jump, but they had all the information necessary to make it. There is nothing more frustrating than a writer that makes her characters slow on the uptake. Oh, and the men in the story are all flat, two-dimensional characters--even Sarah's husband and Sylvia's "wild" brother! I think I enjoyed the end more because it meant I was finished with the book than because it actually satisfied me. Everything came together too neatly, like a fairy tale, and all the flaws that made the people realistic before the last two chapters suddenly disappeared or were resolved in a day--including 50 years of bitter animosity. 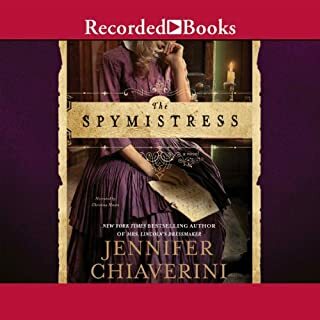 Altogether, I only recommend this if you really like quilting and repressed people, or quaint stories with strong morals and a PG-rating, and not a lot of introspection, deep or otherwise. If you have never quilted, expect your eyes to glaze over when they discuss technique--which is not too often, thankfully. This one started out a little slow for me. But it quickly picked up. I also wasn't fond of the narration of the voice of Sarah's husband. Thankfully there wasn't too much of that. The story itself was absolutely wonderful, spanning more than 50 years, from before WWI until the present time. 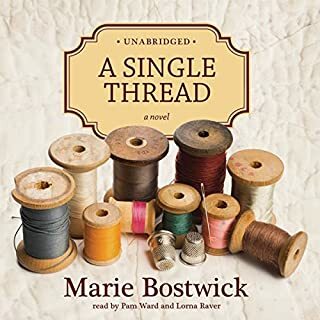 The telling of how two sisters learned to quilt and the sibling rivalry that existed between them from the beginning touched me. At first, I thought I wouldn't be interested in continuing this series because of the slow beginning and the male voice narration. But after the first half hour, I was hooked. This series is better than the other similar series that I've read, dealing honestly with the brokenness and pain that families suffer, and the mistakes made early in life that often haunt us decades later. I'm a quilter myself, but most women with family values would enjoy this book. This is a simplistic story that would play well on the Lifetime Channel. Most of the characters were underdeveloped. 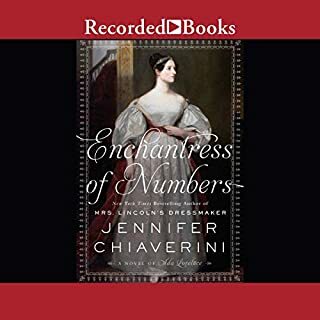 The narrator was able to create some realistic voices for the characters, but her voice for the husband made him sound like he had an IQ of 50. I won't be listening to any of the other books in the series. I enjoyed this small story with in a story. The narrator was very gifted. it felt like different people were telling a good yarn. First book from this author and won't be my last. Not a racy story, just a down home, folksy story with warmth and human element. I enjoyed her vivid descriptions. Very clean and easy to listen, a gentle book. 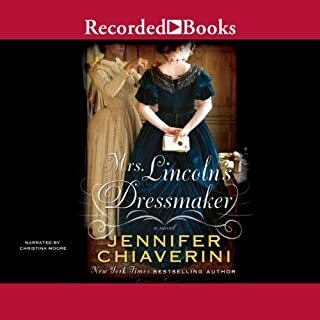 Yes, it's such a fun read and enjoyable to listen to while I'm driving or working around the house....even while I'm at my sewing machine doing a bit of quilting myself. Having young children, it's also gentle on the ears with no swearing or inappropriate content that I wouldn't want them listening to. What other book might you compare The Quilter's Apprentice to and why? The whole book is great, but I really did like when Sylvia and her sister in law saw each other for the first time after all those years and how Sara kept it a secret to get them together and talk...and to look out for her friends the way she did. It made me laugh and smile many times. What a fun and inspirational book about friends and family....and quilting. This is a great book and highly recommend if you want an easy listening good story without worrying about inappropriate things being said around children. It's a good lesson on family and forgiving as well. What made the experience of listening to The Quilter's Apprentice the most enjoyable? I enjoyed the characters and how learning to quilt was explained. 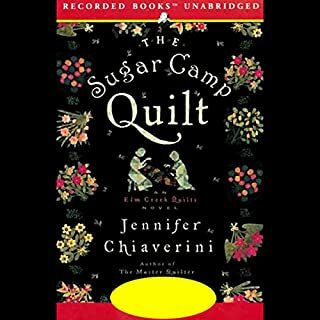 For myself I quilt and found I wanted to be more knowledgable in the history of quilting after reading this book. Characters reveal that they could have done things differently. Having choices. Voice tones, how Sylvia was crabby in the beginning. Sarah was always talking, saying too much. This is a nice, relaxing read. Conflicts aren't too intense and the storyline is sweet. I enjoyed the narrator. Her voice was versatile as she changed between older and younger characters. What fun to listen to a story about quilters while quilting. The bits and pieces of quilting lore bring more meaning to your own quilts. This was enjoyable but mainly because I am a crafter I think. I am not sure i would recommend to others without this interest.